There are a number of organizations in San Diego County for both home and professional brewers and breweries. This list is compiled from a variety of sources. Any updates or corrections are welcome. <a rel="license" href="http://creativecommons.org/licenses/by-nc/4.0/"><img alt="Creative Commons License" style="border-width:0" src="https://i.creativecommons.org/l/by-nc/4.0/80x15.png" /></a><br />This work is licensed under a <a rel="license" href="http://creativecommons.org/licenses/by-nc/4.0/">Creative Commons Attribution-NonCommercial 4.0 International License</a>. 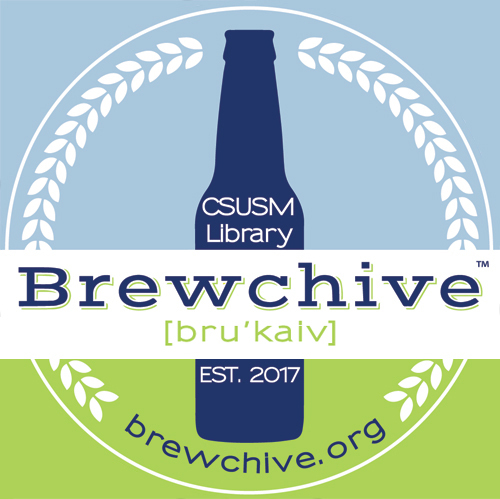 Judith A. Downie, Special Collections & History Librarian, “San Diego Brewing Organizations ,” Brewchive(tm) , accessed April 18, 2019, https://archives.csusm.edu/brewchive/record/48.